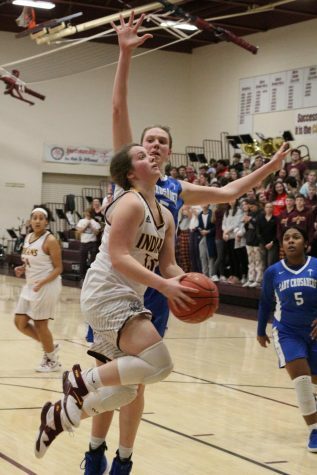 Senior Savannah Scheider attempts to score at a home against the Panthers. 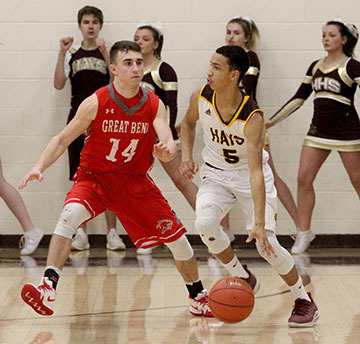 The Indians will play the Great Bend Panthers on Feb. 5. 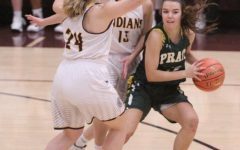 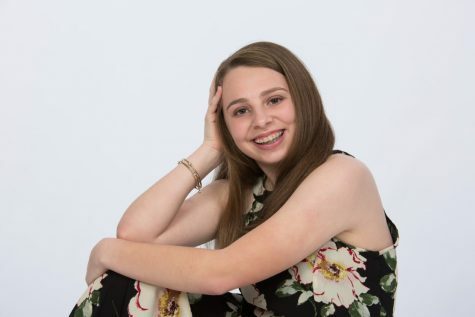 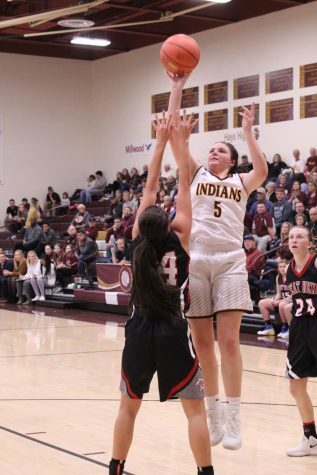 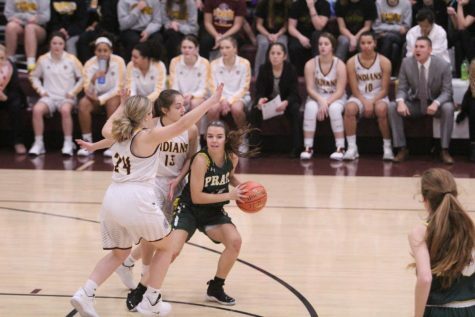 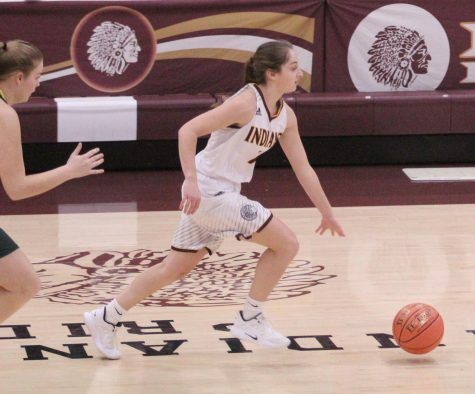 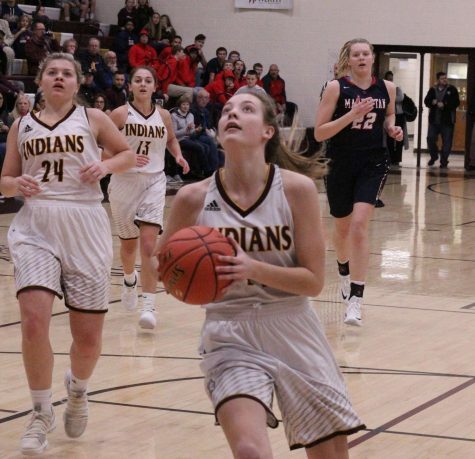 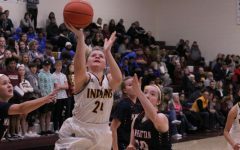 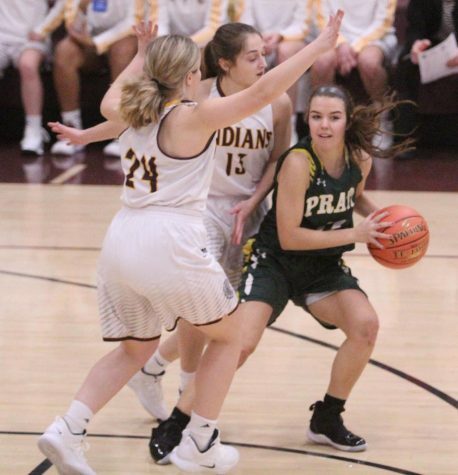 Junior Brooke Denning led the scoring totals with 15 points on Feb. 2 to lead the Lady Indians took a 41-38 victory over the Garden City Buffaloes. 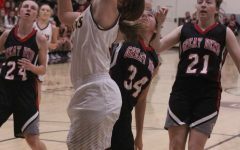 Also scoring points were seniors Jaycee Dale and Savannah Schneider with eight points apiece. 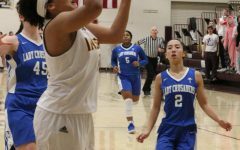 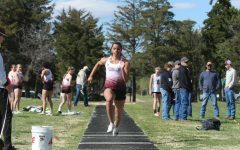 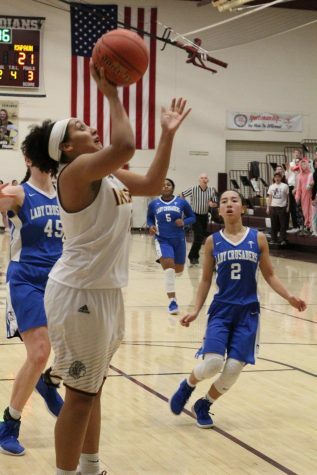 Senior Mattie Hutchison and junior Tasiah Nunnery both threw in four points, and junior Isabel Robben scored two. 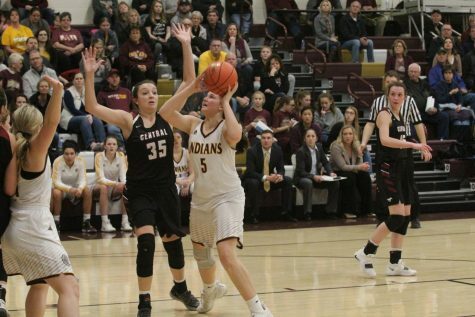 The Indians took the lead early in the first quarter with the score being 14-10. 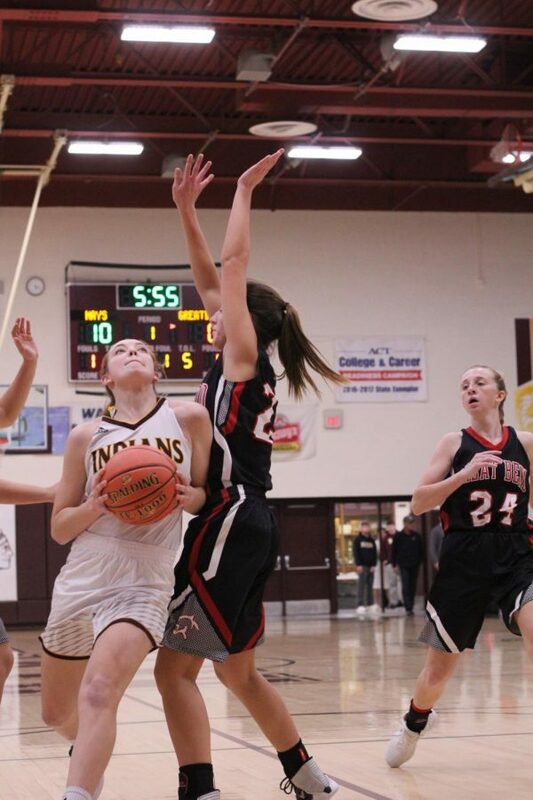 The team continued its lead into half time with a two-point lead. In the third quarter, the Indians scored 12 points to make the score 34-27. 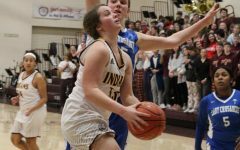 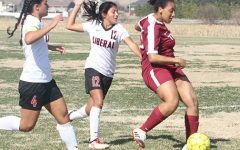 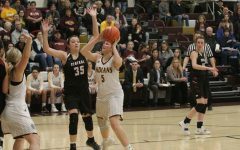 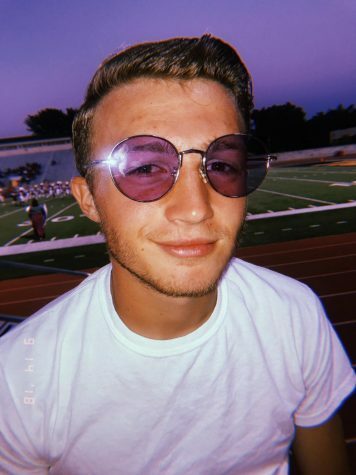 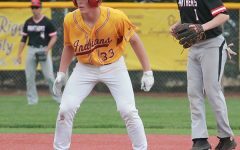 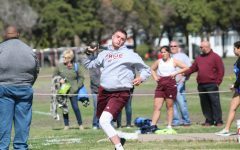 Then, the Buffaloes would attempt to make a comeback in the fourth quarter, but it would not be enough as the Indians would prevail with a 3-point victory. 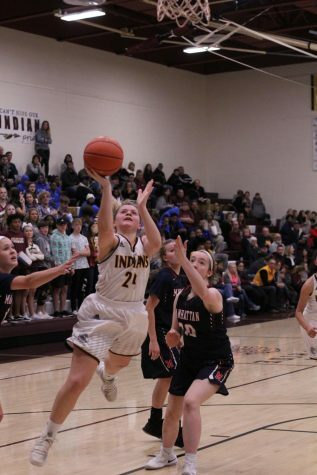 With this win, the Lady Indians basketball team is now 11-4 and will play the Great Bend Panthers at home on Feb. 5.